In 2005, Jim Collins became curious why some of the once great enterprises he’d researched for Built to Last and Good to Great, had fallen. His motivation…….to understand how institutional decline can happen in hopes that leaders might learn how to stave off decline. 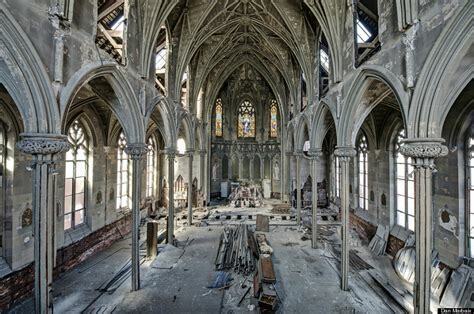 With the knowledge that over 4,000 churches in the U.S. close their doors every year, and that the church revitalization movement is surging, I couldn’t help but read Collins research and 5 Stages through the lens of church decline and revitalization. I found this framework helpful for understanding, at least in part, how great churches can fall, and potentially useful to church leaders who seek to prevent, detect, and reverse decline. Collins research suggests that institutions are likely to move through the 5 Stages in sequence, at times overlapping. Some move quickly through the stages, while others languish for years, or even decades. Collins refers to this stage as “excessive pride.” Great enterprises can become insulated by success and mistake accumulated momentum for forward movement born out of discipline and good decisions. The seeds of Stage 1 are sown when leaders become arrogant, regarding success as automatic. They lose sight of the true underlying values and factors that created success in the first place. Leaders of growing churches are vulnerable to this state of overconfidence in themselves, their systems, and their programs, services, and strategies. They stop learning and lose the inquisitiveness that marked the early days of their success. The hubris of Stage 1 creates an attitude of “we’re so great, we can do anything!” This attitude fosters the belief that bigger scale and more growth are a virtual entitlement, and leads to undisciplined leaps into areas where they cannot achieve excellence or success. Leaders begin to take outsized risks and deny the potentially negative consequences of those risks. Successful churches are not typically prone to complacency, but rather overreaching. They may pursue growth for all the right reasons, but begin to ignore the core principles, organizational disciplines, and spiritual practices upon which the church was originally built. They may even have leaders who confuse big with great, become enamored with the recognition that expansion has brought, and require continual growth to prove their self-worth. At this stage churches are flush with success and are prone to silos where ministry interests are prioritized over church interests, making bad hires, experiencing leader/staff transition difficulties, and developing a crippling bureaucracy. In Stage 3, warning signs begin to appear, but leaders discount or explain away negative data. They begin to amplify positive data, put a positive spin on bad data, and blame external factors for decline rather than accept responsibility. The tendency becomes to understate the problem and overstate your ability to accomplish. Churches in Stage 3 no longer fervently bathe initiatives in prayer, programs are carbon copied from year to year, core process are put on autopilot, and leader training becomes rote or non-existent. Leaders in churches where plateauing or early stages of decline has set in are often in denial, refuse to listen to things they don’t want to hear, and are blind to the weaknesses that are already manifesting themselves in the organization. In Stage 3 church leaders are vulnerable to becoming enamored with the perks of power, detached from realities, and disconnected from the culture and church membership. Stage 4 is characterized by a sharp decline visible to all and the grasping for silver bullet solutions. Leaders look for quick answers rather than returning to the disciplines and practices that brought about greatness in the first place. Churches in Stage 4 experience a sharp erosion of financial strength and spiritual fervency. They see a decline in membership and attendance, and a lurching about from program to program and strategy to strategy in a pattern of chronic inconsistency. Common “saviors” in churches in Stage 4 include the calling of a charismatic or visionary pastor, staff reorganization, a radical transformation in worship style, a game changing outreach strategy, hiring an image makeover consultant, or offering block buster special events. In Stage 5, repeated poor decisions, risk taking gone bad, and never fully realized silver bullets erodes financial strength, employee spirit, and customer confidence. Leaders lose all hope for the future and the institution either atrophies into insignificance or simply dies. Churches in Stage 5 are dispirited, have lost faith and hope, are out of cash, and out of viable survival options. They initiate serious discussions about donating their property to the denomination, selling to another church, or merging with a larger more vibrant congregation. Ignored, the mighty can and will fall, but thankfully they can rise again.